The interior at Leopard’s Leap Vineyards, home to Leopard’s Leap Wines and Liam Tomlin Food, is rapidly nearing completion. 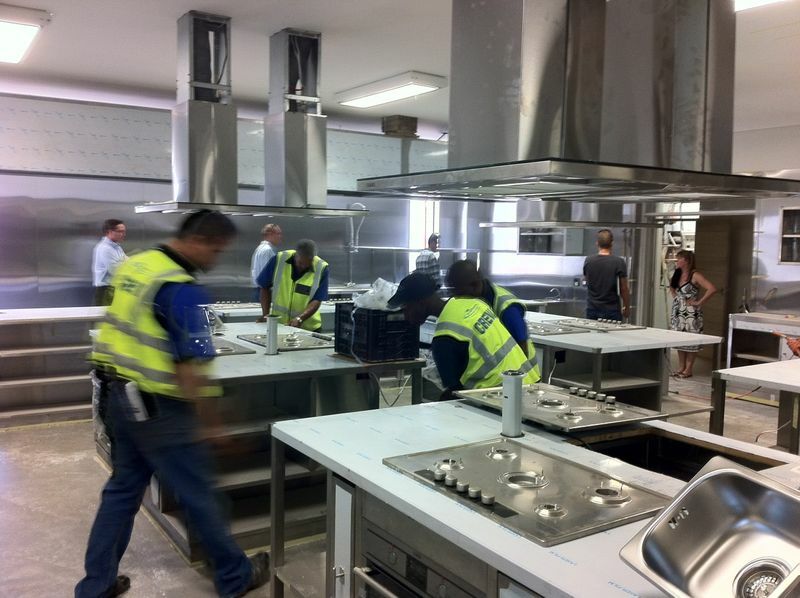 Late last week the cooking school kitchen was being installed. The individual cooking work stations in the kitchen are state-of-the-art and will allow participants in the classes to create stunning meals. Looking forward to the opening.